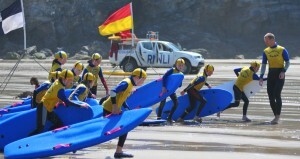 Porthtowan Surf Life-Saving Club is based on the north coast of Cornwall, U.K. It lies between St. Ives and Newquay along with our neighbouring clubs; St. Agnes and Portreath. We were formed in April 1955 and are the third oldest surf club in Britain. Our headquarters are located on the western side of Porthtowan beach and are accessed via Beach Road (Turn left after the Post Office). Although the club is active all year round, we operate our beach activities from Easter until the end of September; Lifeguards are on duty 7 days a week during the Summer (May till October half term). The Club currently has well in excess of 200 members, from Nippers as young as 7, to veterans in their 70s, who all enjoy the relaxed, family atmosphere as well as the camaraderie and social nature of our sport. We encourage all our members to take lifesaving qualifications, take part in fundraising and community activities as well as the occasional competition. Our main aim has always been “to save life”- whether by prevention or by rescue from the sea. In the past many of our members have been awarded for their bravery. We actively promote the water safety aspect of all beach activities by giving advice and training to our members, many of whom have gone on to become professional lifeguards. The Club is affiliated to the Cornish Region and the Surf Life Saving association of Great Britain, with our Surf Boat crews also being a founding member of the U.K. Surf Rowing League. Nipper training (12 and under) takes place from 1.30pm to 4pm every Saturday, either at Porthtowan in the summer or Truro school pool from October to May. 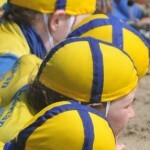 Junior training (12-17) takes place every Saturday morning from 10 – 12 at the beach or 2-3pm in the pool. Seniors train at various times, either training for Surf Lifeguard or rowing our surf boats. 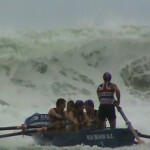 Surf boat rowing is an extreme sport and any new members must have trained throughout the winter before being allowed to row off the beach in surf.